Unity of Struggle: First, we would like to inquire about the creation of the Prizrak Brigade. Was there any sort of plan for creating such a brigade as Prizrak before the war? “Krot”: Not only had no one ever thought about creating the Prizrak Brigade before the war, no one had even thought it would be necessary to form a militia at all. None of us had thought we would have to take up arms in order to defend our lives and the lives of our loved ones. In our naïveté, we had believed that with “democracy and civilization” having been victorious in our time, no one would allow fascists to engage in genocide against their opponents almost in the heart of Europe. We were mistaken. Nevertheless, no one before the war thought we would have to fight, believing that everything could be resolved by a reasonable compromise through discussions. It was only after the fascists burned people alive in Odessa and crushed them with tanks in Mariupol that we realised we would have to take up arms and create a militia. And yet, at the very beginning of the war, the future brigade commander, Mozgovoy, realised and understood that the separate partisan detachments of the Militia had to come together into a single brigade with a common purpose and discipline, otherwise there would be no chance to withstand the army of the Ukrainian invaders. And when Ukrainian aircraft bombed the Brigade camp and the Ukrainian media announced that the unit had been destroyed, the decision was made to call the brigade Prizrak—the “Ghost” brigade—since the Ukrainian media had asserted that all the men of the brigade had been killed. UoS: What was the purpose of the Brigade and what were its political goals? Krot: The purpose of the Brigade, as a military unit, was combat related first of all—to defend the lands of Novorossiya from invasion by the Ukrainian fascists. However, the Brigade had the additional purpose of combating fascism in general. A. Mozgovoy’s political goal was to establish popular power and socialism (in Mozgovoy’s understanding of the term) on Novorossiyan territory, to fight against the oligarchs and the system of oligarchy, and to combat the excesses of officials and the arbitrary bureaucratic apparatus. And in the long-term, if possible, Mozgovoy’s goals were even greater and included the extensive political and economic restructuring of the Ukraine as a whole. UoS: Did the Brigade have support from any countries or political organisations? Krot: The Brigade had no support from any outside countries. The Brigade has existed entirely on the humanitarian support of various popular patriotic and communist parties and organisations of the Russian Federation and Europe. The Communist Party of the Russian Federation has provided especially noteworthy assistance. As the 14th Territorial Defence Battalion (as the Brigade is referred to in official LPR documents), the Brigade has recently been receiving support from the headquarters of the LPR People’s Militia in the form of supplies, weapons, uniforms, provisions and also some financial assistance. This assistance (along with that provided by social organisations and political parties) maintains the Brigade at the required level for combat. UoS: Following the example of the Spanish Civil War (as the first instance in Europe), international volunteers from the entire world have come to Novorossiya to fight against the fascists once more. Could this perhaps become a turning point for communist organisations and parties? Krot: There is no doubt about it! International volunteers from the Left—Socialists and Communists—have shown by example that when necessary they can defend the interests of the people with weapons in hand. They have demonstrated that the left-wing movement has not fallen away, has not deteriorated, and has not become a paper tiger. So, in this regard, yes—perhaps this will become a turning point for communist parties and organisations—if, that is, these parties and organisations make correct use of the situation in order to accumulate their forces for the struggle against capitalism and the capitalist system. It is another matter that the capitalists will try (and are already trying) to suppress this opportunity for the Left—sometimes by force, as, for example, with the arrest and killing of “Russian spring” activists—and sometimes through cunning, misdirecting this energy into channels deemed harmless for the capitalists. UoS: Is Prizrak collaborating with all communist parties? How can communist fighters join the Prizrak Brigade? Krot: The Brigade collaborates with all forces (parties and social organisations) interested in the struggle against fascism. The main thing is having the will and skill to fight. It also important to have at least a basic knowledge of Russian in order to carry out instructions issued by commanders. This is essential in order to defeat the enemy. 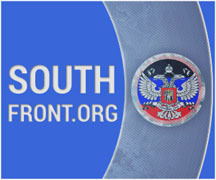 One can reach the LPR and join Prizrak only by going through the Russian Federation. UoS: Is the Brigade open to all anti-fascist forces? Krot: Yes, as I already mentioned previously. The Brigade collaborates with all forces (parties and social organisations) interested in the struggle against fascism. UoS: What would you like to tell revolutionaries from Turkey? Krot: Hang strong, friends. The victory of communism is inevitable in any case! Our task is to hasten this victory and draw its hour, its time closer. And we will succeed in everything. The main thing is to believe in and work for this victory. Reblogged this on red flag over the reichstag.